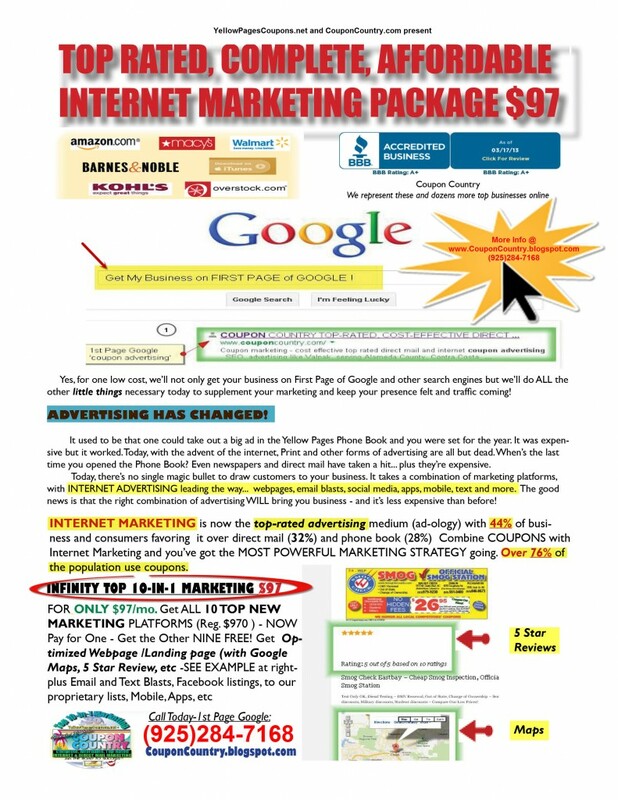 Top Rated, Complete, Affordable Internet marketing Package $97/mo. BIG TICKET spending – 27% plan to buy a new high definision TVand 19% an IPAD or Android tablet. 31% will be in the market for a new smartphone. TEXT MARKETING – The New Frontier! ___ DIRECT MAIL ADVERTISING (Coupon Country) – featuring Solo Mailers : Anytime, Anywhere – The 2nd most popular ad medium targets your specific FREE-The following 6 Top Marketing Media with purchase of Direct Mail (above ): ___FREE OPTIMIZED WEBPAGE (SEO ) INTERNET ADVERTISING ___ FREE EMAIL Blasts ($99. VALUE/ mo.) 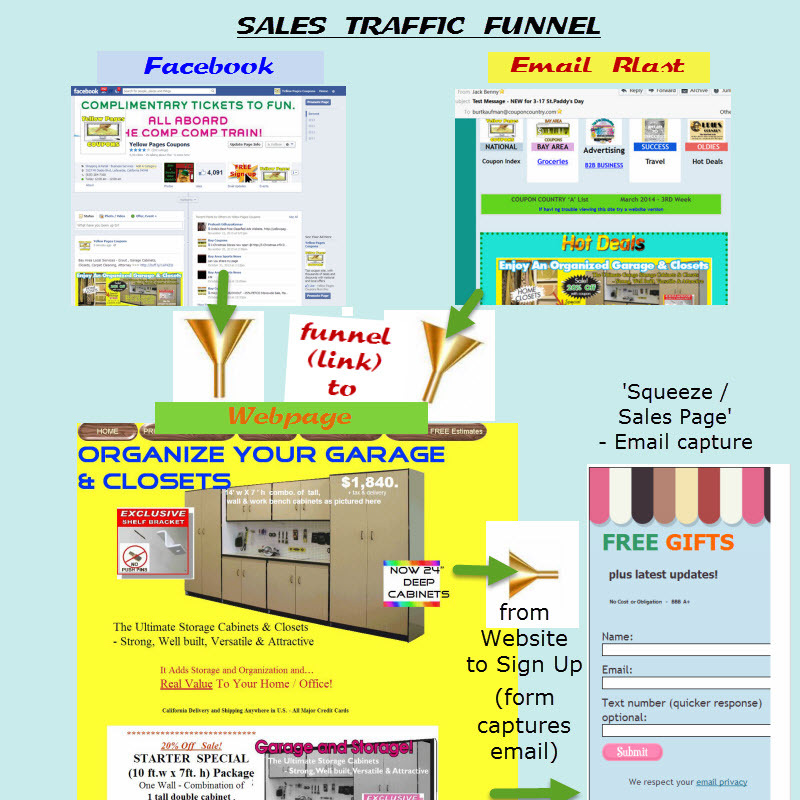 – Opt-in email is stil one of the most popular ad media. ___ FREE MOBILE Marketing – Along with Text Marketing, it’s the new big thing. By next year it is expected that more people will be shopping from their cell phones than from their PCs. ___ FREE Mobile Apps Coupon Country / BayAreaCoupons.info/YellowPagesCoupons.net has a new apps . Cell phone users upload our mobile-friendly apps to access your web pages for instant, frequent shopping from their phones . Don’t Be Left Behind. Call Your Friendly 1-Stop-Cost-Effective Marketing Comoany: 1-888-422-6876 Call (925)284-7168 or Reserve Space Online at: http://couponcountry.com/pages/reserve.html [contact-form 1 “Contact form 1”] TEXT MARKETING- New Frontier – 97% readership and 4-15% response rate! Only $99 / mo. DETAILS: http://www.icontact-archive.com/KOJJ3AK9grwG2XQp9gHwYLD-vSbbDytn FREE EMAIL BLASTS With Optimized Internet Page only $50/month 888-422-6876 with your customer email listÂ / $100 without 1) FREE EMAIL BLASTS to thousands of receptive East Bay Area shoppers and coupon users. Just share your bonafide customer opt-in email list and we’ll blast your message to not only your own list but our valued data base of several thousand coupon users and shoppers in the local market. If you don’t have an email list we only charge $50 a month for between 2 and 4 email blasts.Â (CONT.) 2) INTERNET WEB PAGE, OPTIMIZED for 1ST PAGE GOOGLE SEARCHES . For Â $50 you get your own optimized webpageÂ or landing page connected to your website that will generally appear on PAGE 1 of GOOGLE searches with 1-2 weeks!Â Email Blast included FREE! 3) And for $400 weâ€™ll mail your message to 10,000 addresses THE OLD-FASHIONED WAY, THRU THE POST OFFICE â€“ still the most effective ad medium, direct mailÂ (and weâ€™ll throw in the email and webpage – $100 bonus!) COUPON COUNTRY/ KAUFMAN ADVERTISING…Such a Deal! (Top 2 rated ad media) 510-444-0805 925-284-7168 888-4-A-WEBPAGEÂ Â Â Â Â 1-888-4-A-COUPON (1-888-422-6876) NEWSPAPERS ARE OUT! 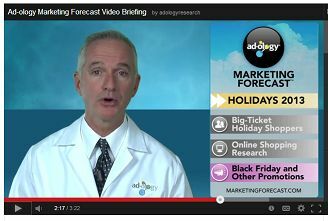 Reserve Space Now: Coupons with Direct Mail plus Internet- HIGHEST-RATED AD MEDIA FOR 2009 at ONE LOW-COST PLACE! 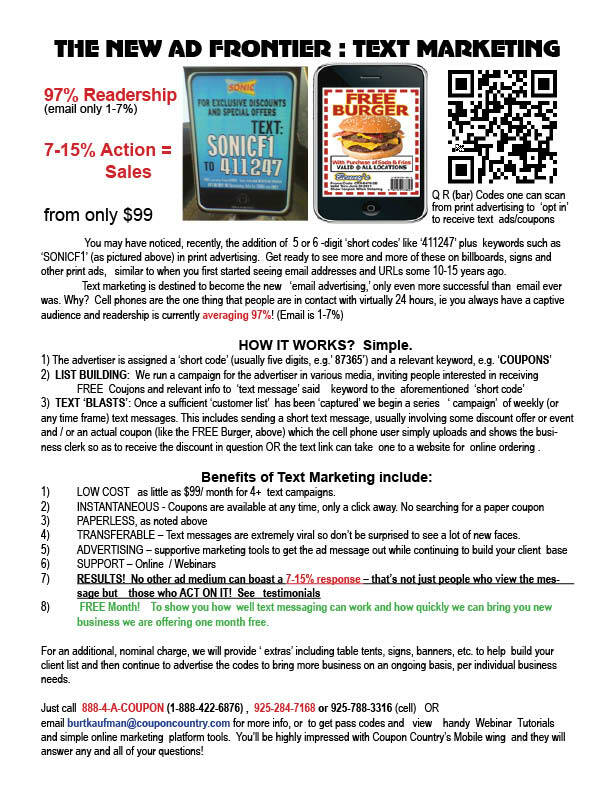 Instant On-Line 2-in-1 Direct Mail plus Internet Coupon Advertising Special Package (NOT a Binding Agreement) Heres what you get: – Top 2 MOST POPULAR, EFFECTIVE Advertising Media for Small Business (Adology â€“ ) 1.) Full Service- Full Page Coupon MAILING including everything: Quality Design, Printing and Postage to 10,000 addresses of choosing plus color and gloss cover placement (as available) â€“ This is 1/10 the cost of a solo mailing or 1st class letter for postage alone . 2.) FREE Coupon Website with printable coupon, highly optimized on popular coupon sites, YellowPagesCoupons.net AND BayAreaCoupons.info(Over half of our clients show up on first page of Google!). If you donâ€™t already have a website, you will now; if you do have a website we will link this with yours for maximum results. (This feature alone is a $500+ value) 3.) Your Business LOGO on front cover of coupon book mailer. Continued…. CLICK HERE FOR MORE and / or to SIGN UP! WEB ADVERTISING TAKING OFF (9-11-09) Business Owners: Don’t Miss the Boat! These are just two of many who have expressed new-found satisfaction for another recession stimulant, to go along with the Coupon Country mailers. This corroborates recent survey results (Ad-ology) that Internet Advertising (#1) and Direct Mail (#2) are the two leading ad media of 2009 – and we’ve got them both right here for you – and at much lower rates than one used to pay for formerly top-rated Yellow Book , newspaper and radio/TV advertising Internet researchÂ shows that it takes about 20 impressions , or web visits, for every one redeemed coupon. It seems that this has been the pattern with YellowPagesCoupons.net. We’ve monitored the increasing web traffic for YellowPagesCoupons via Google Analytics and, with a little supportive marketing and repetition, YellowPagesCoupons is now doing its thing. DOUBLE THE PLEASURE at BayAreaCoupons.info In our web research we’re finding that Two Is Better Than One. That is, two or more websites will bring in more response than a single one. There are certain limitations, including competing ads, categories and keywords, using one website. 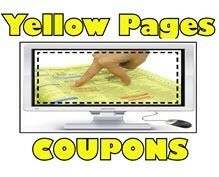 So, we’ve come up with a second supportive website for Coupon Country in http://www.BayAreaCoupons. info Unlike YellowPagesCoupons.net, BayAreaCoupons.info is exclusively Bay Area local. One will have a lower ‘bounce’ rate here as people coming to the site will ALL be coming for Bay Area coupons, rather than some for National shopping . 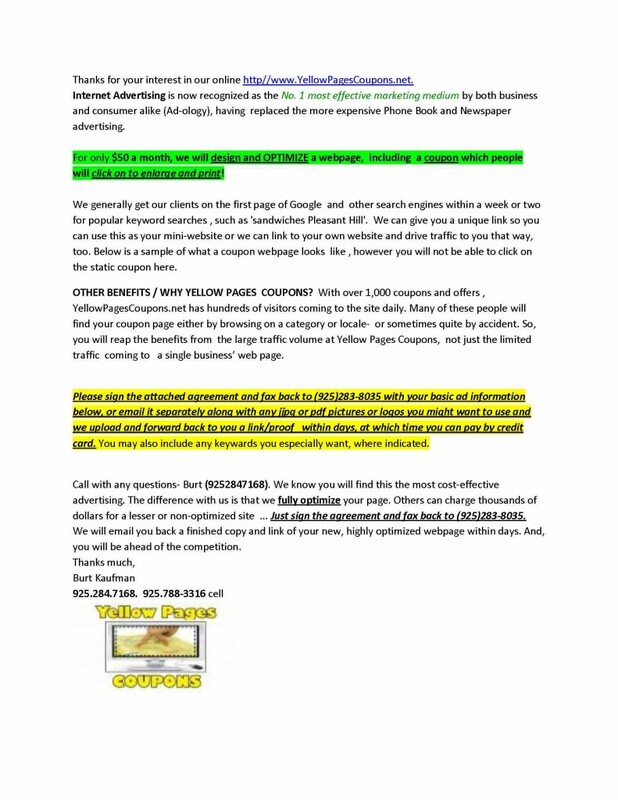 Not to say that YellowPagesCoupons.net hasn’t benefited local advertisers by converting some ‘national shoppers’ who may reside in the Bay Area, but nobody will have to turn away when coming to Bay Area Coupons. 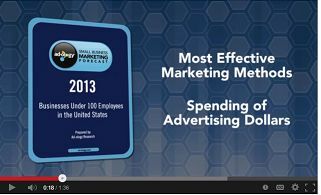 ADVERTISE EFFECTIVELY on Top 2 – rated Ad Media! 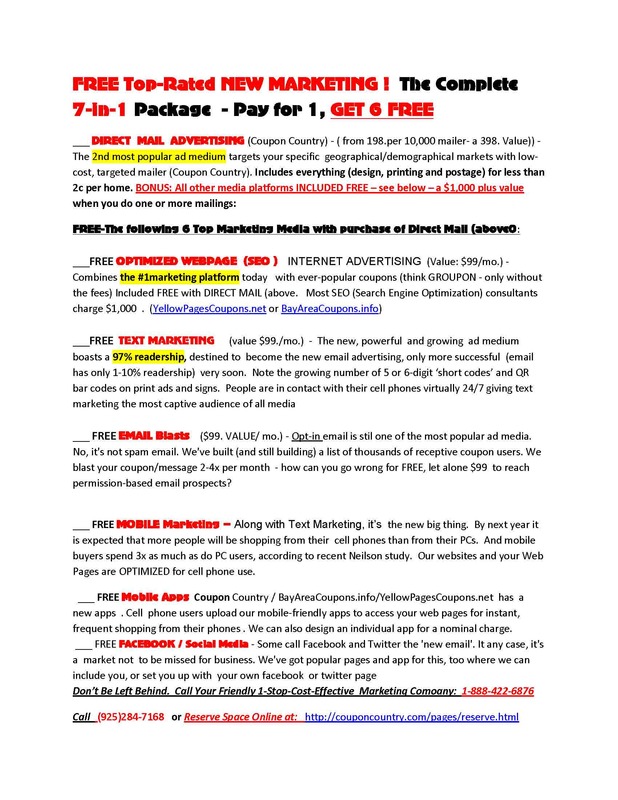 PACKAGE DEAL: OPTIMIZED WEB PAGE & DIRECT MAIL – TOP 2 RATED AD MEDIA – FREE Web Page with any direct mailing (Coupon Country! Or You Don’t Pay!!! And then, it’s only $50 a month for a coupon mini-website once you’re satisfied! 2) PAY USING THE HANDY PAYPAL/CREDIT CARD MENU BELOW CLICK FROM THE THREE CHOICES MENU, BELOW, CHOOSING WHETHER YOU WANT THE 3 MONTH STARTER = $50 (A $25 savings) , 1 Year =$200 (a $100 savings) or 2 Years=$400 (a $200 savings) .Then click the small ‘BUY NOW’ Button.